CheckMySystems Ltd - the CCTV health and operation monitoring software specialist - has extended the compatibility of its advanced CheckMyCCTV automatic maintenance monitoring solution to include Samsung's popular range of video surveillance products. CheckMySystems believes that the move to offer Samsung integration will significantly expand the number of sites across the UK where the company's CheckMyCCTV remote health monitoring capabilities can be employed. 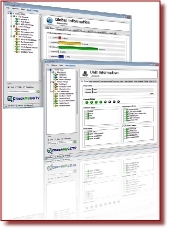 CheckMyCCTV is designed to remotely identify and automatically report specific CCTV faults and issues across multiple locations as soon as they are detected, whether it be a camera, hard disk, recording, or network connection failure. This means that issues can be flagged up and resolved as part of a proactive and cost effective maintenance programme. With the implementation of Samsung compatibility, CheckMyCCTV now supports 20 brands, and there are plans in place for integration with other big name manufacturers in the coming months. Said Darren Rewston, Managing Director of CheckMySystems Ltd: "We are delighted to offer the ability to implement CheckMyCCTV for our customers who are seeking to cover Samsung's wide range of surveillance systems. "We have been making strenuous efforts over the past year to add more and more supported brands into our CheckMyCCTV solution to satisfy growing customer demand. It is important, given the need for a comprehensive CCTV health and operation monitoring solution, that we are able to work with as large a percentage of the UK's CCTV infrastructure as possible, especially when many sites can have CCTV systems from multiple vendors. The delivery of Samsung compatibility certainly fills a critical gap, as the number of systems they supply and their installed base is ever increasing." 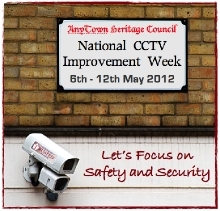 For more information on the CheckMyCCTV health and operation monitoring software solution please visit www.checkmysystems.com.